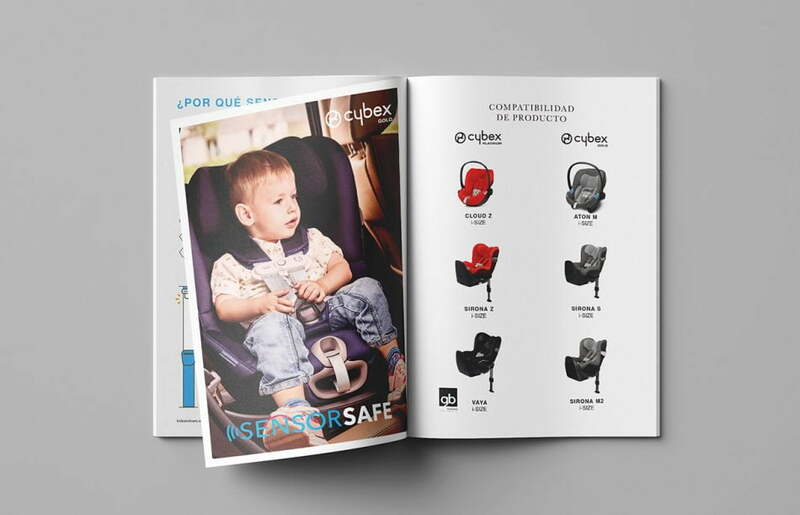 Design of a product catalog for Cybex, a German company of the Goodbaby International Holdings Limited group, one of the leading companies in the sector. They manufacture and commercialize transport and safety products for babies and children (car seats, strollers, baby carriers and children’s furniture). The catalog shows a summary of the benefits and improvements in I+D of the new products of the brand. For this project we made the hierarchy of content in two languages ​​(Spanish and Portuguese), design, layout, development of infographics, as well as the delivery of the final arts.